The Vall d'Hebron Institute of Oncology (VHIO) was officially established in 2006 by former Director José Baselga, Physician-in-Chief at the Memorial Sloan Kettering Cancer Center in New York, President and creator of the FERO Foundation, and current President of our Internal Scientific Committee. From the outset, José had one pioneering and guiding principle for VHIO: To seamlessly bridge preclinical and clinical research in order to foster a continuous virtuous cycle of knowledge from bench to bedside and back again. As evidenced throughout this Scientific Report, this bold approach continues to be at the very core of VHIO's philosophy, passionately pursued by our strong multidisciplinary teams. Prior to the establishment of the comprehensive cancer centers of today -- indeed before 'translational' entered into the oncology lexicon – José’s vision establishes him as one of the godfathers of this connective, multidisciplinary approach. This strategy has been widely adopted as the model of excellence in the current era of precision oncology against this brutal disease that continues to outsmart and evade our most powerful arsenal of anti-cancer weaponry. Over the past decade, I have been privileged to observe the many milestones marked by VHIO and other leading research institutes, often through combining strengths across borders, that spur our drive towards treating the most undruggable and resistant tumor types. Year in, year out, we are witnessing exciting developments to expose the many previously hidden cancer drivers, harness vast amounts of data, step up the pace in turning discovery into real benefits for an increasing number of patients, and innovate our research approaches and clinical trial design based on precious insights provided through this translational research. As Director of VHIO, I can say that the secret behind our translational successes so far is not only down to the incredible talent who have joined our community, but also about carefully planned strategies, infrastructure, and 'smart' expansion – especially in view of the current uncertain economic and political times (more about that later in this foreword). Last year I advanced the opening of our new home, the CELLEX Center, and announced the near completion of our Animal Facility, which occupies the basement of our building and serves as a shared facility across the Vall d'Hebron Barcelona Hospital Campus. 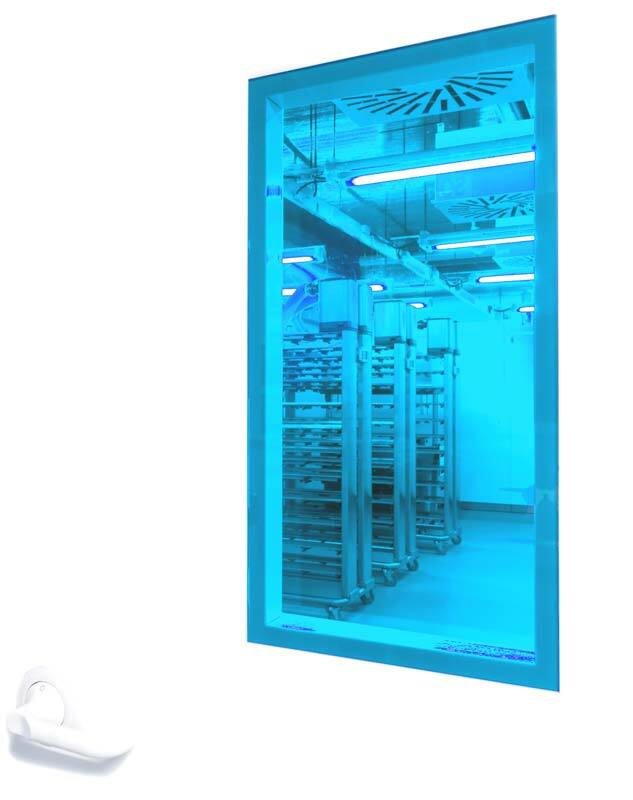 With a surface area of 1347 m2 and nearly 5500 cages, this facility (the entrance to which features on the cover to welcome readers into this year's Report) incorporates the latest platforms and technologies, including a high-sensitivity in vivo imaging technology platform, computed tomography (CT) for high-resolution 3D imaging, and a MicroPET R4 scanner engineered for analyzing small animal models of human disease. VHIO's expertise in developing and rendering cancer models more predictive including patient-derived xenografts (PDX) will continue thanks to our ability to deploy and harness the latest technologies within our cutting-edge facility – an additional jewel in VHIO's current crown. 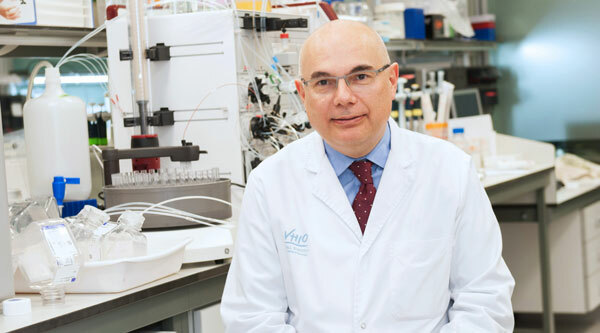 In pursuit of new emerging research areas, VHIO welcomed three new talents in 2016: Francesc Bosch, Professor of Hematology and Head of the Department of Hematology of the Vall d’Hebron University Hospital (HUVH), joined us as Principal Investigator of Experimental Hematology to lead the development of early phase clinical trials and defining new prognostic and predictive factors. The Bosch group focuses on deciphering the mechanisms involved in pathogenesis of hematological neoplasias, the preclinical study of new therapeutic regimens in experimental models that mimic the tumoral microenvironment using primary cells and PDXs, and defining new biomarkers for a more rational and precise treatment of patients. María Abad was formerly a member of Eric Olson's group at the University of Texas Southwestern Medical Center (Dallas, USA), and prior to that, served as a Postdoc Fellow in Manuel Serrano's lab at the Spanish Cancer Research Centre (CNIO) in Madrid. She returned to Spain last summer to head up VHIO's Cellular Plasticity and Cancer Group which aims to advance insights into the interplay between reprogramming, cellular plasticity and cancer. María plans to identify the molecular mechanisms that govern the acquisition of stem cell properties during tumorigenesis, and determine the impact of inducing cellular dedifferentiation in various stages of tumorigenesis (tumor initiation, maintenance, and metastasis), and in the resistance of cancer cells to chemotherapeutic agents, and establish chemical compounds that specifically target cancer stem cells. Leading VHIO's newly established Tumor Immunology and Immunotherapy Group, Alena Gros joins us from Steve Rosenberg’s group at the National Cancer Institute (NCI), National Institutes of Health (NIH – Bethesda, USA) to achieve a better understanding of the naturally occurring T-cell response to cancer, and establish ways in which to exploit these responses towards developing more effective and precise immunotherapies against cancer. Her team will explore whether the presence of lymphocytes recognizing mutated antigens is associated with response, and advance personalized T-cell therapies to treat metastatic colorectal cancer. As this Report goes to print, I am pleased to say we have also recruited Sandra Peiró as Principal Investigator of VHIO's Chromatin Dynamics in Cancer Group. Sandra joins us from the Hospital del Mar Medical Research Institute (IMIM, Barcelona). Her group will study the epigenetic mechanisms controlling gene expression during tumor progression, and the role of the primary 3D structure of chromatin (determined by histone modification) in the regulation of transcription. Additionally, Leticia De Mattos, formerly a Medical Oncologist and Physician-Scientist at Vall d'Hebron, has recently returned from Carlos Caldas' lab at the Cancer Research UK, Cambridge, as Junior Group Leader to lead research using integrated multi-omics data to better understand tumor genetic heterogeneity and the role of the immune system within and between tumors to identify new biomarkers to guide patient therapy. I congratulate VHIO on its 10th anniversary and salute our amazing leaders, teams, supporters and partners for their continued dedication, which enables us to do what we do best – translate discovery into more precise, individualized treatment and care of cancer patients; this is exactly what has established our young institute as a leading center of excellence at the global level. We will continue to expand and accelerate our efforts towards thwarting cancer. 2016 also marked the landmark 15-year birthday of ICREA – the Catalan Institution for Research and Advanced Studies. I congratulate ICREA for doing a phenomenal job in both attracting major talents to Catalonia and promoting the careers of its appointed Professors at international level. Awarded to experts across continents, these highly sought after contracts are considered a seal of global academic merit – as are the reputations of the institutes at which recipients are appointed. VHIO currently counts three ICREA Professors: Joaquín Arribas, Joan Seoane, and Laura Soucek (awarded in 2007, 2004, and 2014 respectively). In 2016 Nature published an Outlook collection of viewpoints surrounding the progress and promise of precision oncology. The Perspective piece that particularly caught my attention was on “The precision-oncology illusion” (1) authored by Vinay Prasad, assessing the success of genome sequencing programs and trials that pair individual patients with a targeted therapy matched to mutations and disease specificities. Whether one agrees or not with the arguments provided, one thing is true: we still have long road to travel if we are to deliver on the true promise of precision medicine. That said, I believe that we have every reason to be optimistic. It is thanks to the expertise of VHIO's preclinical and translational groups that we continue to develop, pioneer, and finely tune cancer models as critical tools to identify factors that influence tumor growth, predict cancer progression and response to certain treatments. Debate surrounding which predictive cancer models outperform others has been widely documented. The reliability of data generated by current models is frequently called into question upon review of false-positive results coupled with compounds that, while showing efficacy in preclinical studies, ultimately fail in early phase trials. By focusing our efforts on advancing today's array of modeling systems, we will increasingly deliver the predictive data required to reliably inform the clinical development of innovative agents and evidence reproducibility before moving to the clinic. This year, VHIO's Growth Factors Group, led by Joaquín Arribas, has been striving to more accurately model anti-tumor immunotherapy strategies. The generation of humanized PDX models (Hu PDXs), in which the human immune system is established in PDX-bearing immunodeficient mice, has proven successful. His team is using these models to validate the efficacy of T-cell bispecific antibodies (TCBs). Our Mouse Models of Cancer Therapies Group, led by Laura Soucek, has demonstrated in several models that Myc inhibition has a dramatic impact across several tumor types, with both mild and reversible side effects in normal tissue. Their spin-off company, Peptomyc S.L., created at VHIO (see section 'Spin-off success: VHIO-born entrepreneurship' of this Foreword), is developing Myc-inhibiting peptides for cancer therapy and validating this new therapeutic strategy across a number of notoriously untreatable tumor types. Thanks to our prowess in advancing preclinical cancer models, our groups are called upon to participate in important studies involving modelling. One example this year was the participation of VHIO's Experimental Therapeutics Group, led by Violeta Serra, in important research published in Nature Medicine (2). The study, directed by Andrew Tutt, King's College London (and in collaboration with colleagues from the Memorial Sloan Kettering Cancer Center) evidenced the molecular machinery that renders triple-negative breast cancer resistant to conventional chemotherapy. Using cell models and PDX, the study reveals PIM1 proto-oncogene inhibitors as novel contenders aimed at reversing resistance of triple-negative breast cancer to standard chemotherapies. This could ultimately open up a promising new therapeutic avenue for these patients. As I previously mentioned, VHIO 'lives and breathes' multidisciplinarity and a purely translational approach to research against cancer. One study that exemplifies VHIO's translational 'tour de force' and the connectivity between our teams was published in Clinical Cancer Research (3), led by VHIO's Stem Cells and Cancer Group, headed by Héctor G. Palmer. Using colorectal cancer PDX, they demonstrated that Wnt inhibitors can overcome β-catenin-induced resistance to PI3K and AKT inhibitors and experimentally showed a rational stratification of patients to be treated with this trio of inhibitors using β-catenin and FOXO3A as predictive biomarkers of response. This marks an important milestone in ultimately advancing therapy against colorectal cancer. To build on this progress in advancing a variety of modeling systems across various tumor types, we hope to empower predictive cancer models by continuing to pool knowledge, share perspectives, and move together more swiftly and cost-effectively to render cancer medicines more precise. Important collaborations such as the EurOPDX Consortium, of which VHIO is partner, will most certainly help us to collectively progress prediction science against cancer. By promoting the exchange of findings on promising next-generation therapeutics as well as leading multi-center studies, we will also crucially reduce the duplication of efforts in drug development and preclinical cancer research. In this respect too, VHIO's 2016 International Symposium: Towards Predictive Cancer Models, supported by the Fundació Bancària ”la Caixa”, proved a stunning success. It also underpinned the importance of identifying synergies between different experimental models and the need to connect experts across an array of various models in order to obtain the most reliable data about a particular drug or disease. By providing equal attention across every model throughout the symposium, this two-day timely gathering, organized and co-chaired by VHIO's Joaquín Arribas and Laura Soucek, also represented an important step in advancing prediction science against cancer. In collaboration with the Catalan Institute of Oncology (ICO) and the Program Against Therapeutic Resistance (proCURE), we co-organized the Biocat and Obra Social ”la Caixa” B-Debate conference Cancer Therapeutic Resistance: Progress and Perspectives, hosted by the CosmoCaixa Science Museum of the Fundació Bancària ”la Caixa”,Barcelona. This superb meeting, under the co-chairmanship of ICO's Miguel Angel Pujana and VHIO's Joaquín Arribas, highlighted the opportunities and current challenges surrounding novel strategies and approaches aimed at overcoming drug resistance and counteracting tumor cell spread factors. Novel technologies aimed at determining the function of genetic variants, coupled with new ways to harness, store and share data, means that basic and clinical scientists can work closer together to translate data more rapidly into clinical benefits. Our ambition is to accelerate discovery into the genetic causes of disease and the development of new, more effective and tailored treatments. Genome sequencing technologies are generating massive quantities of patient data, unmasking many new genetic variants. The challenge is in mining all these data for genes and variants of high clinical relevance. To do so, we must continue to improve our data management practices from bench to bedside. The genomic profiling of each patient's tumor represents powerful weaponry in our current arsenal of novel approaches and techniques aimed at rendering anti-cancer therapies more precise. Importantly, better establishing the role and relevance of these genomic drivers -- particularly those inducing oncogenic addiction -- represents the Achilles’ heel in matching targeted therapies to these alterations. In view of the vast amount of data, tools and platforms must be designed and developed in a unified format so that investigators and oncologists can access these insights in a user-friendly and coherent manner. Throughout 2016, VHIO significantly contributed to such determined efforts. Leading important advances in data mining, literature curation and knowledge interpretation of somatic gene alterations that have a therapeutic impact in cancer, Rodrigo Dienstmann, Principal Investigator of our Oncology Data Science (ODysSey) Group, and colleagues created the Cancer Genome Interpreter (CGI) Cancer bioMarkers database. This resource is curated and maintained by several clinical and scientific experts in precision oncology supported by the European Union’s Horizon 2020 funding. Publically available, this database has become a reference for clinical investigators across the globe, and the terminology that they have developed has been adopted by the ClinGen Somatic Cancer Working Group, which will harmonize biomarker curation through consensus minimum variant level data. Similarly, his group has also participated in the Horizon 2020 supported consortium, MedBioinformatics, to develop integrative bioinformatics tools and autonomously usable software applications for scientists and clinicians to analyse the vast amount of data and knowledge generated in order to advance precision cancer medicine. It's not only a matter of the effective sharing and reporting of clinically meaningful data; it's also a question of interpretation. Published this year in the Journal of Clinical Oncology (4), VHIO's Judith Balmaña, Principal Investigator of our High Risk and Cancer Prevention Group, authored a study revealing the lack of consistency in genetic variant interpretation in the context of shared data. In collaboration with several US-based cancer research centers of excellence, the article explored the conflicting classification of genetic variants and associated cancer risk reported by commercial laboratories in the online Prospective Registry of Multiplex Testing (PROMPT). Importantly, one quarter of the clinical genetic results from commercial multiplex cancer panels reported in the PROMPT registry had conflicting interpretations. Prior to publication, preliminary data were selected by the American Society of Clinical Oncology (ASCO) to showcase as an oral presentation presented by Judith at its Annual Meeting (Chicago, 03 – 07 June 2016). Based on this study, initiatives aimed at further harmonizing variant interpretation in the context of shared data should be widely embraced and supported. The time is now to collectively speak the same 'language'. To deliver transformative therapies we must continue to validate molecular subclasses of disease as well as better develop, match, and measure novel therapies according to the specificities of each molecular subtype. Only then will we put the brakes on the molecular culprits that drive tumor initiation, development and growth. With particular thanks to the dedication of our Cancer Genomics, Molecular Oncology, and Oncology Data Science (ODysSey) Groups led by Ana Vivancos, Paolo Nuciforo and Rodrigo Dienstmann, we are promoting the multi-molecular approach to developing novel anti-cancer therapies based on established subtypes, and continue to make important contributions to colorectal and breast cancer in particular. Concerning the latter, one paper published this year in JAMA Oncology (5), evidenced the intrinsic subtyping of breast cancer by means of a genomic test as the most important prognostic factor in advanced or metastatic hormone-sensitive breast cancer. Led by Aleix Prat, Principal Investigator of VHIO's Translational Genomics Group, in collaboration with physician-researchers at VHIO and the August Pi I Sunyer Biomedical Research Institute (IDIBAPS, Barcelona), along with colleagues at The Royal Marsden Foundation Trust, London (UK), the team reported that genomic classification of tumors can predict the evolution of cancer from the onset of metastasis, and that this intrinsic classification can better guide treatment decisions in the first-line metastatic setting. High-throughput genomic technologies, novel approaches, and cutting-edge platforms, coupled with big data generated through international networks and collaborations of excellence, including the Horizon 2020-supported MoTriColor (for a full listing of VHIO's participation in leading Consortia), and the open sharing of results have advanced our understanding of the molecular drivers and subtyping of cancer. To better tackle tumoral diversity and heterogeneity we must render the classification of cancers more precisely to be able to guide the prognosis of each individual patient as well as use intrinsic biological intelligence to better inform treatment decisions. Only by working together will we succeed in accelerating the translation of molecular subclasses and biomarkers into benefits at patient level. At the close of 2016, Mosaic Biomedicals S.L., a spin-off co-founded by VHIO's Joan Seoane in 2014, announced the momentous merger of Mosaic with Northern Biologics Inc. (Toronto, Canada), and the consequent promise of the accelerated clinical development of humanized antibody, MSC-1. Pioneering research headed by Joan Seoane previously led to both establishing the role of leukemia inhibitor factor (LIF) as a promoter of cancer progression by regulating the tumor microenvironment and inducing self-renewal in tumor-initiating cells, and his seminal discovery of MSC-1's capacity to effectively target LIF. MSC-1's transition to the clinic would represent a tremendous addition to our current arsenal of anti-cancer weaponry. MSC-1 is entering clinical trials this year, with sites planned throughout Europe and North America. Peptomyc S.L. – a biopharmaceutical spin-off company co-founded in 2014 by VHIO's Laura Soucek, who is also CEO of the company – has already marked important milestones. Built on the research led by Laura over the last 20 years, this company centers on developing anti-Myc peptides for the treatment of non-small cell lung cancer (NSCLC), triple negative breast cancer (TNBC) and glioblastoma (GBM) – all of which have a dismal prognosis and are in desperate need of new therapies. Laura and her team are focused on successfully translating Omomyc-based therapy into clinical application and ultimately, direct benefit for numerous cancer patients. In so doing, the Omomyc cell-penetrating peptide (CPP) would become the first ever clinically viable and direct inhibitor of Myc – a protein implicated in the formation of most tumor types. This anti-Myc peptide would also offer a less invasive form of therapy since Laura’s group has already proven preclinically that it can be successfully administered intranasally to deliver its powerful anti-cancer blows. Peptomyc represents the driving force behind de-risking Omomyc-CPP from a Proof of Concept Development Stage into a successful Phase I/II product and then licensing it to a pharmaceutical company. 2016 has marked great progress led by VHIO's participation in several consortia. Here I should mention Cancer Core Europe – a unique partnership connecting renowned European comprehensive cancer centers. VHIO is one of the six founding research entities. This year, VHIO's Early Clinical Drug Development Group led by Jordi Rodón, and VHIO's Research Unit for Molecular Therapy of Cancer (UITM) – ”la Caixa”, which he also directs, in collaboration with VHIO's prescreening program directed by Ana Vivancos – have led the design of the Cancer Core Europe's endorsed Basket of Baskets (BoB) trial. Set to launch next year, this novel study in personalized medicine integrates molecular prescreening, the development of new diagnostic tests such as circulating DNA, with the testing of targeted therapies in populations of patients who, matched to the molecular alterations detected in their respective tumors, will be most likely to benefit from them. Thanks to VHIO's prescreening program and its personalized medicine and immunotherapy early drug development programs, our expanding expertise in immuno-oncology with trials spanning many promising targets in immune checkpoints and cytokines, we are converging immuno-oncology and genomics to further enhance and advance precision science against cancer. As a reflection of our expertise, VHIO, in collaboration with an appointed expert from each of the six founding centers, co-leads Cancer Core Europe's Clinical Trials, Data Sharing, Molecular Diagnostics, Immuno-Oncology, Training and Education Task Forces. Regarding our participation in WIN – Worldwide Innovative Networking in personalized cancer medicine – I am delighted to report that enrolment for the WINTHER trial (a pilot study in personalized medicine) was completed and results are currently being analysed. I will have important updates concerning these insights in next year's report. In the meantime, this unique academic and international clinical trial has led to the design of WIN trial number two: Survival Prolongation by Rationale Innovative Genomics (SPRING). Bringing key stakeholders from industry and academia, this study will firmly center on advancing precision medicine against lung cancer. 2016 has also marked the launch of new and essential partnerships including a 21-strong academic powerhouse set to progress discovery in cancer immunotherapy: the immunotherapy Centres of Research Excellence (imCORE) Network powered by Roche and Genentech, as well as the Horizon 2020-supported NoCanTher Consortium. In order to more precisely detect cancer mutations, track the evolution of disease and circulating tumor cells that drive metastasis, as well as predict response to therapy, we continue to mark important progress using our in-house BEAMing liquid biopsy RAS biomarker technology (a collaboration with Merck Serono and Sysmex Inostics), as well as Droplet Digital PCR (ddpCR) Bio-Rad technology. While we are increasingly witnessing just how potentially game changing the blood-based 'policing' of cancer is proving at clinical level, more must be done to develop and empower this approach. Similarly, we are starting to see the efficacy of immunotherapeutics across several clinical studies. VHIO groups and colleagues from other leading cancer research centers across Europe and beyond, continue to report and advance the use of novel immune agents either as mono therapy or in combination, across an increasing number of cancer types. Despite such progress, we must strive to achieve a better understanding of the cellular and molecular mechanisms modulating immune response to cancer and learn from the outcomes of current and future trials. Fuelled by Merck's 2016 Grant for Oncology Innovation (GOI), VHIO's Enriqueta Felip, Principal Investigator of our Thoracic Tumors and Head and Neck Cancer Group and Ana Vivancos, in collaboration with colleagues at the Catalan Institute of Oncology (ICO), will lead the project entitled: New technologies for new treatments – liquid biopsy meets immunotherapy. Aimed at characterizing blood-based tumor-educate platelets (TEPs) for the evaluation of patients treated with immune checkpoint inhibitors using novel sequencing technologies, Enriqueta's team will explore Platelet RNA as an easily accessibly liquid biopsy technology that may more accurately and effectively guide immunotherapeutic strategies for the treatment of patients with non-small lung cancer (NSCLC). Arguably, the same can be said for politics. 2016 has triggered an uncertain climate following Britain's vote to exit the EU. Just how the 'Brexit' will impact on oncology and cancer research across Europe remains to be seen, but serious concerns have been widely expressed by leading experts. Prior to the 'divorce' a duo of commentaries and accompanying editorial published in The Lancet Oncology (6), outlined the potential consequences from both the UK and European perspectives. Now more than ever, all stakeholders in oncology must stand together, actively engage with the policy makers and politicians, and collectively identify the necessary next steps to protect our cross-border partnerships, strengthen our research through continued funding, and promote the mobility and exchange of talent throughout our laboratories and hospitals. 'Brexit' is a reality but must not translate into broken. Over the past decade, we at VHIO have been dedicated to breaking down barriers, not only between basic and clinical research communities but also between nations across Europe and beyond. Cancer knows no boundaries and we shall not let something like Brexit sidetrack us from our passion and our mission to break this disease. According to a study published in JAMA Oncology (7), in 2015 there were an estimated 17.5 million cancer cases globally and 8.7 million deaths. Each and every one of us on this planet have, either directly or indirectly, been affected by this hideous disease. Only with the continued and most appreciated support received from our dedicated and dear institutional supporters -- Generalitat de Catalunya, Fundació Privada CELLEX, Fundació Bancaria ”la Caixa”, Fundación BBVA, as well as our many other supporters including funding entities, agencies, associations, fundraisers, and individual donors, can we at VHIO determinedly continue to more speedily advance personalized and targeted therapies against cancer. As this year's Report goes to print, we recently received the sad news of the passing of one of the greatest supporters of biomedical research and healthcare across Catalonia, Dr. Pere Mir, Founder and President of the Fundació Privada CELLEX which he created in 2002. I take this opportunity to recognize his immeasurable generosity, backing and belief in our Institute (as well as many others). Without his support, VHIO would not have been able to mark the many milestones to date in its development, expansion, and contribution to advancing cancer research and improving outcomes for patients. I have been extremely fortunate and honoured to have known such a remarkably kind human being, a true gentleman and scholar. Needless to say, he will be sorely missed by all. Prasad V. Perspective: The precision-oncology illusion. Nature. 2016 Sep 8;537(7619):S63. Brasó-Maristany F, Filosto S, Catchpole S, Marlow R, Quist J, Francesch-Domenech E, Plumb DA, Zakka L, Gazinska P, Liccardi G, Meier P, Gris-Oliver A, Cheang MCU, Perdrix-Rosell A, Shafat M, Noël E, Patel N, McEachern K, Scaltriti M, Castel P, Noor F, Buus R, Mathew S, Watkins J, Serra V, Marra P, Grigoriadis A & Tutt AN. PIM1 kinase regulates cell death, tumor growth and chemotherapy response in triple-negative breast cancer. Nat Med. 2016 Nov;22(11):1303-1313. Arqués O, Chicote I, Puig I, Tenbaum SP, Argilés G, Dienstmann R, Fernández N, Caratù G, Matito J, Silberschmidt D, Rodon J, Landolfi S, Prat A, Espín E, Charco R, Nuciforo P, Vivancos A, Shao W, Tabernero J, Palmer HG. Tankyrase Inhibition Blocks Wnt/β-Catenin Pathway and Reverts Resistance to PI3K and AKT Inhibitors in the Treatment of Colorectal Cancer. Clin Cancer Res. 2016 Feb 1;22(3):644- 56. Balmaña J, Digiovanni L, Gaddam P, Walsh MF, Joseph V, Stadler ZK, Nathanson KL, Garber JE, Couch FJ, Offit K, Robson ME, Domchek SM. Conflicting Interpretation of Genetic Variants and Cancer Risk by Commercial Laboratories as Assessed by the Prospective Registry of Multiplex Testing. J Clin Oncol. 2016 Dec;34(34):4071- 4078. Prat A, Cheang MC, Galván P, Nuciforo P, Paré L, Adamo B, Muñoz M, Viladot M, Press MF, Gagnon R, Ellis C, Johnston S. Prognostic Value of Intrinsic Subtypes in Hormone Receptor-Positive Metastatic Breast Cancer Treated With Letrozole With or Without Lapatinib. JAMA Oncol. 2016;2(10):1287-1294. Impact of Brexit on cancer care and research. Lancet Oncol. 2016 May;17(5):539. Selby P, Lawler M, Banks I, Johnston P, Nurse P. The EU: what's best for UK cancer research and patients? Lancet Oncol. 2016 May;17(5):556-7. Tabernero J, Ciardiello F. Brexit: a European perspective. Lancet Oncol. 2016 May;17(5):558-9. Global Burden of Disease Cancer Collaboration. Global, Regional, and National Cancer Incidence, Mortality, Years of Life Lost, Years Lived With Disability, and Disability-Adjusted Life-years for 32 Cancer Groups, 1990 to 2015: A Systematic Analysis for the Global Burden of Disease Study. JAMA Oncol. 2017 Apr 1;3(4):524-548. In order to translate cancer discovery into real benefit for an increasing number patients, VHIO has, for the last decade, adopted a purely translational, multidisciplinary research model. Organized into four main programs – Preclinical, Translational, Clinical, and Core Technologies, our research focuses on understanding the fundamental biology of human cancer, from cellular and molecular biology and genetics through to therapeutics. Aside from the many highlights described by each of our programs and groups in this report, we would like to underline a few other important factors and developments in 2016 that enabled us to further advance cancer discovery through the integration and translational science and clinical research within a multidisciplinary setting - the winning formula behind what we do and how we do it at VHIO year in, year out. Celebrating its 10th birthday, VHIO is a leading comprehensive cancer center of excellence where its scientists and research physicians adopt a purely translational research model, working together as multidisciplinary teams to both accelerate and advance more precise and effective targeted therapies against cancer. Undertaking one of Spain's most dynamic cancer research programs, VHIO is dedicated to delivering on the promise of precision medicine in oncology – turning cancer discovery into more powerfully tailored treatments and better practice for the care of our patients. At the core of VHIO's research activities lies our suite of cutting-edge core technology platforms which allow our expert teams to apply next-generation whole-genome sequencing for precision oncology as well as develop and improve existing applications to drive faster results. By sequencing panels of genes or entire genomes in cancer patients, we are now better equipped than ever before to identify specific molecular risk factors and better predict the potential efficacy of specific agents matched to the specificities individual patients. VHIO's Cancer Genomics Group headed by Ana Vivancos, serves as a Core Technology laboratory to bridge the preclinical and clinical levels of cancer discovery. Her lab is equipped with a genotyping platform (MassARRAY, Sequenom), an n-counter (Nanostring) platform, two digital PCR platforms (BEAMing, Sysmex, and Droplet Digital PCR (ddpCR) Bio-Rad technology), and a duo of NextGen Sequencers; MiSeq and HiSeq2500, Illumina. These technologies accelerate our research efforts of our preclinical, translational and clinical scientists, enabling the identification of mechanisms of resistance to targeted therapies, the study of clonal populations, as well as defining novel therapeutic opportunities based on mutation profiles. VHIO's Prescreening Program, pioneered by VHIO's Cancer Genomics Group and Molecular Oncology Group led by Paulo Nuciforo, performs molecular profiling in over 1500 patients per year as candidates for enrollment in Phase I clinical trials carried out at our Research Unit for Molecular Therapy of Cancer (UITM) – ”la Caixa”, directed by Jordi Rodón. Suitability for enrollment in a given trial is evaluated based on the genomic or pathologic profile of individual patients. Our capacity to more precisely match individual patients with a particular clinical study represents a significant forward step in the collective and collaborative ambition to deliver on the true promise of personalized treatment and care in oncology. As a reflection of our dedication to excellence and quality services we provide, we continue to undergo ISO 15189 accreditation for our main testing methods and our prescreening efforts have already established VHIO as one of the few centers in Europe to run such a comprehensive program. We will continue to expand our efforts to an increasing number of patients thanks to the VHIO - Catalan Institute of Oncology (ICO) Research Alliance, representing the biggest clinical care provider in Catalonia. As updated by our Director in his Foreword, in collaboration with Merck Serono and Sysmex Inostics, we continue to employ our in-house Digital-PCR Platform, BEAMING liquid biopsy RAS biomarker technology, for the detection of RAS mutations in first-line metastatic colorectal cancer. While we are already seeing how this avant-garde approach is promising a more precise treatment for metastatic colorectal cancer patients by improved stratification of which patients stand to benefit from anti-EGFR therapies, we will aim to further develop and empower this technology towards its application to conventional care across an increasing number of tumor types. By bringing more detailed prognostics directly to the clinical setting, and further developing and validating the next generation of tests, VHIO continues to significantly contribute to better guided treatment decisions as well as improved outcomes for patients. VHIO continues to establish itself as a leading reference in progressing drug development and targeted therapies against cancer. It has been able to do so not only through the bridging and tight connectivity between health care professionals, VHIO researchers and physician-scientists, but also through its Research Unit for Molecular Therapies of Cancer (UITM) ”la Caixa” and Clinical Trials Office located in the patient care environment of the Vall d'Hebron University Hospital. At the close of 2016, VHIO further expanded its management team by recruiting another leading talent, Elena Garralda, as Executive Director of the UITM. Research at the UITM is led by Jordi Rodón's Early Clinical Drug Development Group, and focuses on the development of novel agents based on the molecular profile of each tumor as well as the optimization of treatment regimens using combinations of new drugs with existing ones. In 2016, 115 Phase I clinical trials and 14 basket studies were performed at our Unit with a total of 453 patients enrolled. Our Clinical Trials Office, directed by Gemma Sala, coordinates a large portfolio of Phase I – II – III studies and consistently reports an increase in the number of trials conducted each year. In 2016 the number of patients included in our studies totaled at 1129 across 354 actively recruiting trials. Located within the Vall d'Hebron Barcelona Hospital Campus, which also incorporates a trio of research institutes of international reference; Vall d'Hebron Institute of Research (VHIR), CEMCAT – Multiple Sclerosis Center of Catalonia, and VHIO, the Vall d'Hebron University Hospital (HUVH) affords VHIO direct access to patients as well as the entire spectrum of oncology professionals who care for them. Organized into multidisciplinary integrated teams, our researchers closely collaborate and interact with Vall d'Hebron physician-scientists. Translational science and clinical research are therefore tightly connected, accelerating the bench-bedside-bed cycle of knowledge. Research at VHIO therefore benefits immensely from its privileged location; just a few meters away from the Campus, and the superb interaction and teamwork with clinical colleagues at HUVH. The Vall d'Hebron University Hospital (HUVH): the largest hospital complex in Catalonia and one of the most important in Spain. Commandeering research aimed at combating cancer, our preclinical, translational and clinical researchers as corresponding/senior authors or co-authors, published 240 scientific articles in 2016 (73% Q1), with a cumulative Impact Factor (IF) totalling at 1918,57 and a Median Impact Factor (MIF) of 7,99. These figures reflect an increase in scientific productivity as well as the importance of VHIO's research contribution to the oncology field. Occupying the basement of our building and serving as a shared facility across the Vall d'Hebron Barcelona Hospital Campus, our Animal Facility has a surface area of 1347 m2 and is equipped with nearly 5500 cages. This facility incorporates the latest platforms and technologies, including a high-sensitivity in vivo imaging technology platform, computed tomography (CT) for high-resolution 3D imaging, and a MicroPET R4 scanner engineered for analyzing small animal models of human disease. VHIO's expertise in developing and rendering cancer models including patient-derived xenografts (PDX) more precise and predictive, will further expand thanks to these cutting-edge technologies. 2016 marked the opening of VHIO's cutting-edge Animal Facility. Francesc Bosch, Principal Investigator of VHIO's Experimental Hematology Group, Professor of Hematology and Head of the Department of Hematology, the Vall d'Hebron University Hospital (HUVH). María Abad, Principal Investigator, VHIO's Cellular Plasticity & Cancer Group. As Principal Investigator of VHIO's Experimental Hematology Group, Francesc Bosch will lead the development of early phase clinical studies and define new prognostic and predictive factors. More specifically, his group will unmask the mechanisms involved in pathogenesis of hematological neoplasias, lead preclinical research into new therapeutic regimens in experimental models that mimic the tumoral microenvironment using primary cells and PDXs, and define novel biomarkers for a more rational and precise treatment of patients. Heading up VHIO's Cellular Plasticity and Cancer Group, María Abad's team will focus on advancing insights into the interplay between reprogramming, cellular plasticity and cancer. Her group plans to identify the molecular mechanisms that rule the acquisition of stem cell properties during tumorigenesis, and determine the impact of inducing cellular dedifferentiation in various stages of tumorigenesis and in the resistance of cancer cells to chemotherapeutics, and establish chemical compounds that specifically target cancer stem cells. Leading VHIO's Tumor Immunology and Immunotherapy Group, Alena Gros will head research to achieve a better understanding of the naturally occurring T-cell response to cancer, and identify ways in which to exploit these responses towards developing more powerful and precise anti-cancer immunotherapies. Her group will also establish whether the presence of lymphocytes recognizing mutated antigens is associated with response, and advanced personalized T-cell therapies to treat metastatic colorectal cancer. In 2016 VHIO has continued to significantly contribute to several European and International Consortia of excellence. Launched back in 2014, Cancer Core Europe – a European cancer association conducting pioneering research aimed at propelling cancer medicine into a new era, is championed by its six founding partners and comprehensive cancer Institutes of renowned excellence: Gustave Roussy (Villejuif, France), Cambridge Cancer Centre (Cambridge, UK), Karolinska Institutet (Stockholm, Sweden), Netherlands Cancer Institute – NKI (Amsterdam, The Netherlands), German Cancer Research Center & National Center for Tumor Diseases – DKFZ-NCT (Heidelberg, Germany), and VHIO. Its pooling of exchange of expertise, research findings, common platforms and processes, empowers researchers and clinicians to rapidly exploit this trove of biological insights and clinical data for the benefit of patients. Driving this pioneering undertaking are the task forces comprised of researchers, clinicians, biostatisticians, and imaging and IT specialists from across the six member centers who are responsible for identifying challenges, sharing best practices, harmonizing procedures, establishing recommendations, and launching new common research projects. In collaboration with an appointed expert from each of the six founding centers, VHIO co-directs its Clinical Trials, Data Sharing, Molecular Diagnostics, Immuno-Oncology, Training and Education Task Forces. This year, VHIO's Early Clinical Drug Development Group and our Research Unit for Molecular Therapy of Cancer (UITM) – ”la Caixa”, both directed by Jordi Rodón, have led the design of the Cancer Core Europe's endorsed Basket of Baskets (BoB) trial. This academic study, set to launch next year, integrates molecular prescreening, the development of new diagnostic tests such as circulating DNA, with the testing of targeted therapies in populations of patients who, matched to the molecular alterations detected in their respective tumors, will be most likely to benefit from them. Fueled by the European Union's Horizon 2020 research and innovation programme, MoTriColor (Molecularly guided Trials with specific treatment strategies in patients with advanced newly molecular defined subtypes of Colorectal cancer), is a four year project led by VHIO and powered by a total of eight clinical centers of excellence across Europe. Dedicated to conducting three clinical trials, colorectal cancer patients with advanced disease will for the first time be stratified based on their gene expression profiles according to recently established predictive signatures. Response and resistance to selected therapies will be tracked by liquid biopsy. Using these pioneering approaches, MoTriColor aims at identifying sensitivity of individual patients to the proposed experimental therapies and develop more precise anti-cancer treatments for these patients. 2016 marked the initiation of the prescreening of patients from the different clinical sites and enrollment in the MoTriColor studies will commence next year. In addition, comprehensive translational research will be performed using the patients' samples through the INTRACOLOR project (supported by EU H2020's TRANSCAN-2 ERA NET) – also coordinated by VHIO. Initiated in 2010, WIN's Worldwide Innovative Networking (WIN) Consortium in personalized cancer medicine aims at rapidly translating precision cancer medicine discoveries into standards of patient care worldwide. Currently comprising thirty five institutional members, this global collaboration strives to up the tempo and reduce the cost of translating novel cancer treatments to the clinic by developing and applying the most promising genomic-based research advances. With enrollment for the WINTHER (WINTherapeutics) clinical trial completed, results are currently being analyzed. This unique academic and international study which launched in 2012, has led to the design of a second innovative WIN trial: Survival Prolongation by Rationale Innovative Genomics (SPRING). Bringing key stakeholders from industry and academia, this collaborative undertaking will firmly center on advancing precision medicine against lung cancer. Powered by Roche and Genentech, a global partnership connecting 21 academic centers and leading experts in cancer immunotherapy: immunotherapy Centres of Research Excellence (imCORE) Network, launched in 2016. Working in collaboration with scientists from Roche and Genentech, renowned researchers and physician-scientists in cancer immunotherapy from across the globe have joined together to drive the application and extension of novel immune-based therapeutics to more tumor types as well as advance research into the cellular and molecular mechanisms modulating immune response to cancer. The goal is to rapidly initiate pre-clinical and clinical research based on the latest scientific discoveries and to aggregate and share data to accelerate the search for cures for cancer patients. This unique network will significantly contribute to advancing anti-cancer immunological strategies and advance discovery aimed at ultimately benefiting patients who may stand to gain from novel immune agents as mono therapy or in combination. Among the 21 different academic partners, VHIO and the Clinical University of Navarra are the only two to have been selected from within Spain. Funded through a grant received from the European Union’s Horizon 2020 research and innovation programme, NoCanTher – Nanomedicine upscaling for early clinical phases of multimodal cancer therapy – comprises five Spanish institutions: VHIO, Spanish National Cancer Research Centre (CNIO), Vall d'Hebron Research Institute (VHIR), Biopraxis, and IMDEA Nanoscience, in partnership with Trinity College Dublin (Ireland), Jena University Hospital (Germany), Paris Diderot University (France), Resonant Circuits Ltd. (UK), Immupharma Plc (UK), and Chemicell GmbH (Germany). Led by IMDEA Nanoscience, this collaboration represents an important forward step in utilizing nanoparticles than can better target and more precisely combat cancer cells. It aims to build on the preclinical successes reported by the former FP7-funded MultiFun Consortium that evidenced the efficacy of a multi-modal therapeutic approach based on functionalized magnetic nanoparticles and magnetic hyperthermia for the intra-tumoral treatment of breast and pancreatic tumors. More specifically, NoCanTher will assess this nano-based approach and provide preliminary data on its efficacy in humans and seeks to translate these preclinical findings into early clinical development for the treatment of pancreatic cancer. The PhD PI3K biology in health & disease Network incorporates ten academic, clinical and industrial partners with renowned expertise in research focused on PI3K signaling. This unique training network connects complementary expertise and brings additional value, novel tools and leadership of excellence in order to train talented early stage researchers and suitably equip them for leading roles in cancer science and drug discovery in European industry and academia. This inspired program not only represents unparalleled educational opportunity for these young scientists, but will also ultimately increase the international competitiveness of European research in PI3K discovery and drug development. Cancer Therapeutic Resistance - Progress and Perspectives. Left to right: Joaquín Arribas, Co-Chair (VHIO), Albert Barberà, Director of Biocat, Jordi Portabella, Director of the Research and Knowledge Area of the Fundació Bancària ”la Caixa”, Miguel Angel Pujana, Co-Chair (ProCURE, ICO). Co-Organized by the Catalan Institute of Oncology (ICO), the Program Against Therapeutic Resistance (ProCURE), and VHIO, Cancer Therapeutic Resistance: Progress and Perspectives, 07 – 08 April 2016, celebrated at the CosmoCaixa Science Museum of the Fundació Bancària ”la Caixa” in Barcelona, provided unparalleled opportunity to discuss and debate the very latest insights aimed at tackling the major obstacle in combating cancer: resistance to anti-cancer therapies. Thanks to the co-chairmanship of Miguel Angel Pujana (ProCURE, ICO) and Joaquín Arribas (VHIO), coupled with an outstanding panel of world-class speakers, participants and speakers alike exchanged expertise and explored experiences from a variety of different perspectives at preclinical, translational, and clinical research levels. This two-day meeting highlighted both the opportunities and current challenges surrounding novel strategies and approaches that promise to overcome drug resistance and counteract tumor cell spread factors through the development of more effective and precise targeted therapies. Just some of the many must-have conversations centered on and around the application and extension of immunotherapies to different tumor types, the cancer genome and epigenome and how latest data is being applied to advance cancer detection, monitoring and therapy, as well as current therapeutic strategies matched to molecular subtypes of disease and new avenues for molecularly targeted therapy against metastatic disease. The meeting also updated on the latest translation of cancer 'omic' intelligence into accelerated development and application of personalized cancer medicine, explored current preclinical models and programs that track cancer progression and predict response to anti-cancer drugs, and delivered insights into the development of therapies and approaches targeted at CSCs in order to better forecast outcomes and checkmate therapeutic resistance. In short, this first-class B-Debate meeting tiggered the many must-have conversations in our collective and determined efforts to reverse cancer drug resistance. Supported by an educational grant from the Fundació Bancària ”la Caixa”, VHIO organized a two-day International Symposium aimed at empowering predictive cancer models by exploring the most relevant and recent advances in predictive cancer science: Towards Predictive Cancer Models, 26 – 27 May 2016, Barcelona. Co-chaired by Joaquín Arribas, Director of Preclinical Research at VHIO, and Laura Soucek, Principal Investigator of VHIO's Mouse Models of Cancer Therapy Group this meeting par excellence convened internationally acclaimed experts within the field to share, debate and exchange the very latest data, discuss how best to report, validate and share results, and roadmap next directions in building on the undeniable progress marked to-date by each model under the lens throughout the course of the Symposium. During the meeting, some of the most important talks also focused on future study design, explored the 'tried, tested and validated' of a variety of modelling systems and combined approaches across various tumor types, and delivered cutting-edge data coming from within the 'stable' of novel contenders - organoids and PDX models. Additional conversation centered on how data from preclinical models can be complementary to tumor genetic testing and thus push the boundaries of sequence-based approaches. By illustrating how current efforts aimed at advancing today's array of modeling systems are providing increasingly more predictive data as well as better evidencing reproducibility in science before moving to the clinic, this Symposium represented an important forward step in progressing prediction science against cancer. As a reflection of the scientific program of excellence, Nature Reviews Cancer sponsored two poster prizes that were awarded to the top two posters – selected among some 50 accepted abstracts. The prize winners were Daniel Massó Vallés, VHIO's Mouse Models of Cancer Therapies Group, and Irene Gutierrez Perez, the Instituto de Neurociencias de Alicante (Alicante, Spain). To consult the Meeting Report published in Drugs Today, please see: Cancer Therapeutic Resistance: Progress and Perspectives (April 7 – 8, 2016 – Barcelona). Hutchinson E; Pujana MA; Arribas J. 2016. Drugs Today (Barc). 52: 347-354. Based on specific lines and research areas that continue to position VHIO as a leading international reference, we share our expertise, learn from eminent guest speakers, discuss and debate our latest findings through the organization of VHIO ad-hoc courses and workshops as well as VHIO Faculty presenting at International cancer conferences of excellence. Exchanging latest discovery in cancer science and medicine, VHIO organized and hosted a total of 29 Courses, Workshops, Observerships and Perceptorships in 2016. Launched in February 2016 by Co-Chairs and Founders Verónica Rodilla and Jordi Martínez Quintanilla, Post-Doctoral Fellows of VHIO's Growth Factors and Stem Cells & Cancer Groups respectively, our monthly series of Benchstoming Seminars represent an excellent educational opportunity for junior faculty at VHIO to both present and exchange on and around their respective research interests across VHIO's various research programs. Not only do our young researchers learn more about their other colleagues and research lines currently underway, they can also express their ideas surrounding a given topic presented at each seminar; the specially crafted informal format favors free thought, flow, and interaction between the speakers and participants. Ibrutinib exerts potent antifibrotic and antitumor activities in mouse models of pancreatic adenocarcinoma, Massó-Vallés D, Jauset T, Serrano E, Sodir NM, Pedersen K, Affara NI, Whitfield JR, Beaulieu ME, Evan GI, Elias L, Arribas J, Soucek L. 2015. Cancer Res.75: 1675-1681. Cerebrospinal fluid-derived circulating tumour DNA better represents the genomic alterations of brain tumours than plasma. De Mattos-Arruda L, Mayor R, Ng CKY, Weigelt B, Martínez-Ricarte F, Torrejon D, Oliveira M, Arias A, Raventos C, Tang J, Guerini-Rocco E, Martínez-Sáez E, Lois S, Marín O, de la Cruz X, Piscuoglio S, Towers R, Vivancos A, Peg V, Ramon y Cajal S, Carles J, Rodon J, González-Cao M, Tabernero J, Felip E, Sahuquillo J, Berger MF, Cortes J, Reis-Filho JS, Seoane J. 2015. Nat Commun. 6: 8839-0. Analysis of circulating DNA and protein biomarkers to predict the clinical activity of regorafenib and assess prognosis in patients with metastatic colorectal cancer: a retrospective, exploratory analysis of the CORRECT trial. Tabernero J; Lenz HJ; Siena S; Sobrero A; Falcone A; Ychou M; Humblet Y; Bouché O; Mineur L; Barone C; Adenis A; Yoshino T; Goldberg RM; Sargent DJ; Wagner A; Laurent D; Teufel M; Jeffers M; Grothey A; Van Cutsem E. 2015. Lancet Oncol. 16: 937-948. Acquired EGFR C797S mutation mediates resistance to AZD9291 in non-small cell lung cancer harboring EGFR T790M.Thress KS; Paweletz CP; Felip E; Cho BC; Stetson D; Dougherty B; Lai Z; Markovets A; Vivancos A; Kuang Y; Ercan D; Matthews SE; Cantarini M; Barrett JC; Jänne PA; Oxnard GR. 2015. Nat. Med. 21: 560-562. Safety and Activity of the First-in-Class Sym004 Anti-EGFR Antibody Mixture in Patients with Refractory Colorectal Cancer. Dienstmann R, Patnaik A, Garcia-Carbonero R, Cervantes A, Benavent M, Roselló S, Tops BB, van der Post RS, Argiles G, Skartved NJ, Hansen UH, Hald R, Pedersen MW, Kragh M, Horak ID, Braun S, Van Cutsem E, Tolcher AW, Tabernero J. 2015. Cancer Discov. 5: 598-609. Pertuzumab, Trastuzumab, and Docetaxel in HER2-Positive Metastatic Breast Cancer. Swain SM; Baselga J; Kim SB; Ro J; Semiglazov V; Campone M; Ciruelos E; Ferrero JM; Schneeweiss A; Heeson S; Clark E; Ross G; Benyunes MC; Cortés J. 2015.N Engl J Med. 372: 724-734. Nivolumab versus Docetaxel in Advanced Nonsquamous Non– Small-Cell Lung. Borghaei H; Paz-Ares L; Horn L; Spigel DR; Steins M; Ready NE; Chow LQ; Vokes EE; Felip E; Holgado E; Barlesi F; Kohlhäufl M; Arrieta O; Burgio MA; Fayette J; Lena H; Poddubskaya E; Gerber DE; Gettinger SN; Rudin CM; Rizvi N; Crinò L; Blumenschein GR; Antonia SJ; Dorange C; Harbison CT; Graf Finckenstein F; Brahmer JR. 2015. N Engl J Med; 373:1627-1639. Vemurafenib in Multiple Nonmelanoma Cancers with BRAF V600 Mutations. Hyman DM; Puzanov I; Subbiah V; Faris JE; Chau I; Blay JY; Wolf J; Raje NS; Diamond EL; Hollebecque A; Gervais R; Elez E; Italiano A; Hofheinz RD; Hidalgo M; Chan E; Schuler M; Lasserre SF; Makrutzki M; Sirzen F; Veronese ML; Tabernero J; Baselga J 2015. N Engl J Med. 373: 726-736. The Global Burden of Cancer 2013, Global Burden of Disease Cancer Collaboration. 2015. JAMA Oncol. 1:505-527.